Now: Concentration of plastics are comparable or even higher in the Arctic than in more industrialized and urban areas, a new report concludes. Thousands and thousands of birds are packed together, making noice, quarreling with each other over each square centimeter on the cliffs at Gjesværstappan, the largest colonies of cliff-breeding seabirds in Norway’s Finnmark region. With the North Cape only a few kilometers further north, the location couldn’t have been better, with the fish rich Barents Sea as nearest neighbor. On distance, the bird colony looks healthy as few with flocks of birds flying in and out from the cliffs. But by a closer look, you can see that the once-pristine nests on the rocks are by far natural. The Northern Gannet’s nets are to a large portion built by plastic waste, mainly abandoned fishing gear made of plastics. No help Gjesværstappan, consisting of several small cliff-islands, have been a designated nature reserve since 1983. Additional to the northern gannet, the cliffs are home to tens of thousands of common puffin, hundreds of common guillemot, some few thousand razorbills and a few tens pairs of common shag. Not least to mention the nearly 10,000 pairs of black-legged kittiwake. 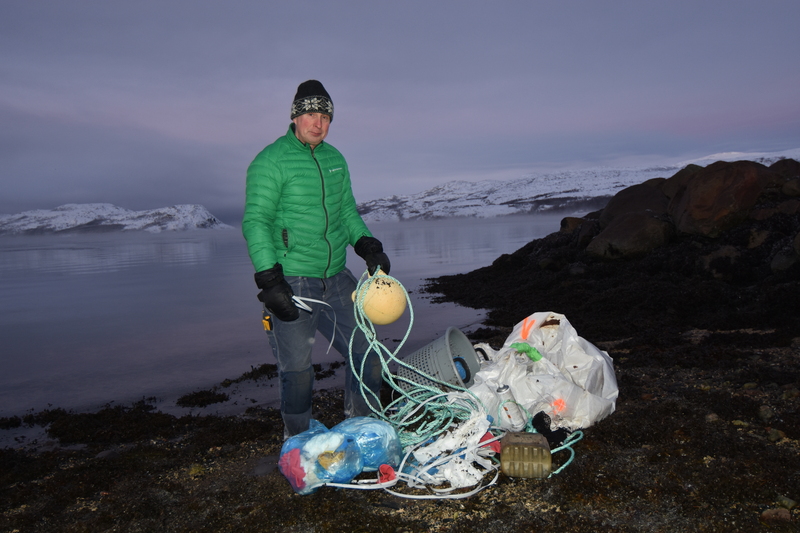 The authors call for urgent action to reduce marine litter globally, but also for a pressing need to address the many gaps in our knowledge of plastic in the Arctic environment. While the report by the Polar Institute mainly focuses on entanglement of seabird species to ghost nets and other plastic debris in the High North, other researchers are looking into how plastics and micro-plastics are effecting seabirds. 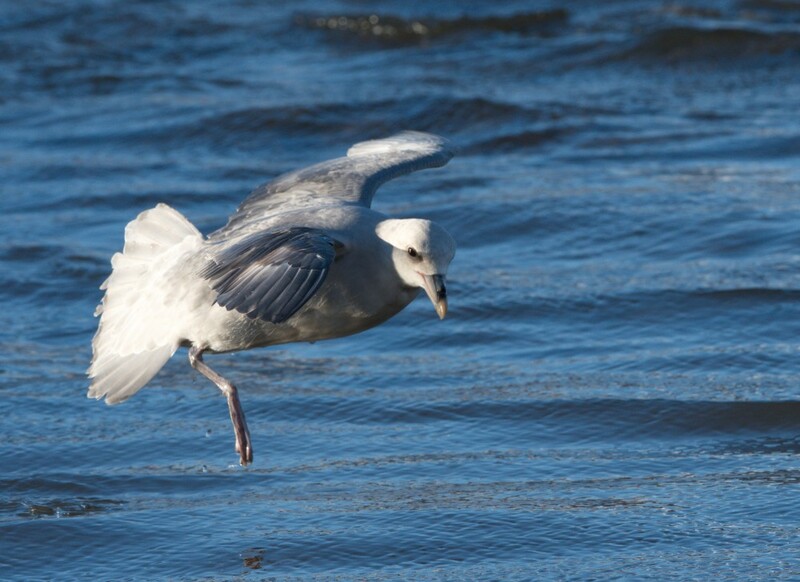 Often, the birds mistake plastic floating around for food, filling up their stomachs with indigestible material. As a result, the birds starve to death. Birds are also getting micro-plastics via the food-chain, often resulting in accumulation of toxics in their blood. The problem is growing. Production of plastic has increased twentyfold since the mid-1960s, reaching 322 million tons in 2015. A further doubling in plastic production is expected the next 20 years, and almost a quadrupling by 2050. If humanity drives on with business-as-usual, by 2050 there will be by weight more plastic than fish in the oceans. That is very bad news for the Barents Sea, being a «dead-end» in ocean currents directing plastic waste northbound by the Gulf Stream. Ornithologist Bjørn Frantzen says all spices eating seafood are exposed to plastics. Northern Gannet, Frantzen explains, dive vertically into the sea and are swimming after the fish. Plastics in their nests are mainly coming from old fishing nets mixed into seaweed the birds build their nets with. 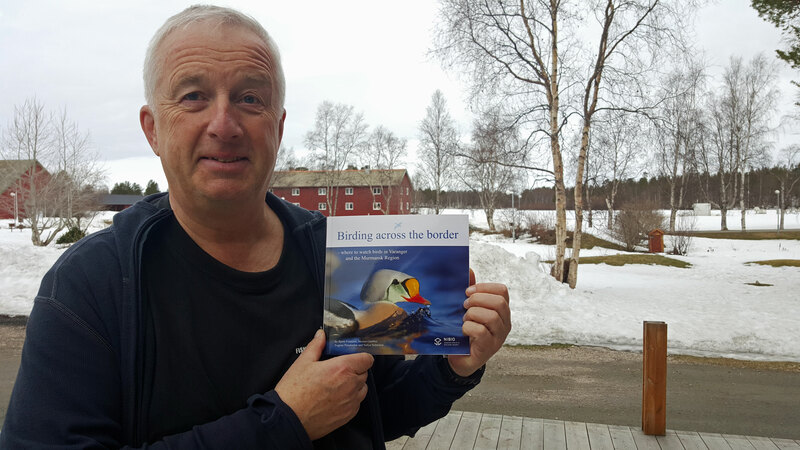 Frantzen today lives in Longyearbyen on Svalbard and has for decades followed seabird colonies all around the Barents Sea. «The Northern Gannet’s nests clearly shows how much rope and fishing nets that floats around in the sea,» he explains. Frantzen calls on everyone who find dead seabirds to cut up the birds’ stomachs to see how much plastics their are. «When people find plastics like this, they will get motivation to contribute to reduce their own consumption of plastics,» he says. A research paper published in Science Advances says the most polluted areas in the northernmost parts of the Barents Sea were found to contain hundreds of thousands of plastic pieces per square kilometer. The researchers behind the report says Novaya Zemlya has served as a frontier for further transport of floating plastic debris toward the interior Arctic Ocean. However, the report reads; «the intense summer reduction in sea ice coverage over recent years has resulted in wide openings of the northern passage to the Kara Sea.» Sea currents from the Kara Sea flows into the Laptev Sea and the Arctic Ocean. The Arctic ecosystem is an accumulation zone for the world’s growing mountains of plastic waste.